If you are looking for holiday accommodation near Yamba or Iluka accommodation, Anchorage Holiday Park would be a destination to consider. We are located in Iluka, just 30 minutes drive from Yamba. 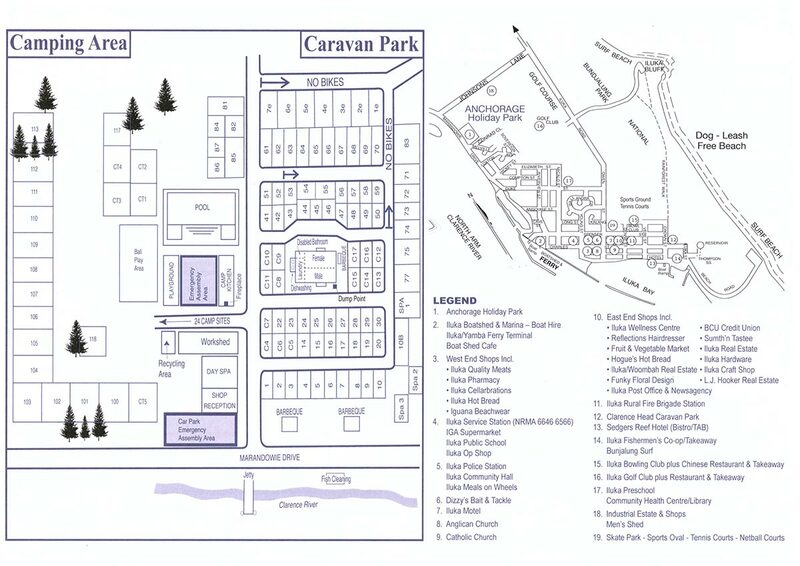 We have provided a map below to help you navigate to our address in Iluka, as well as around our holiday park. If you’d like a printable version, simply click on the map.